GM just announced that it will invest a considerable sum of money in its North American assembly plants. In the next 3 years, 5.4 billion dollars will be injected all over the continent, which will create up to 650 new jobs. 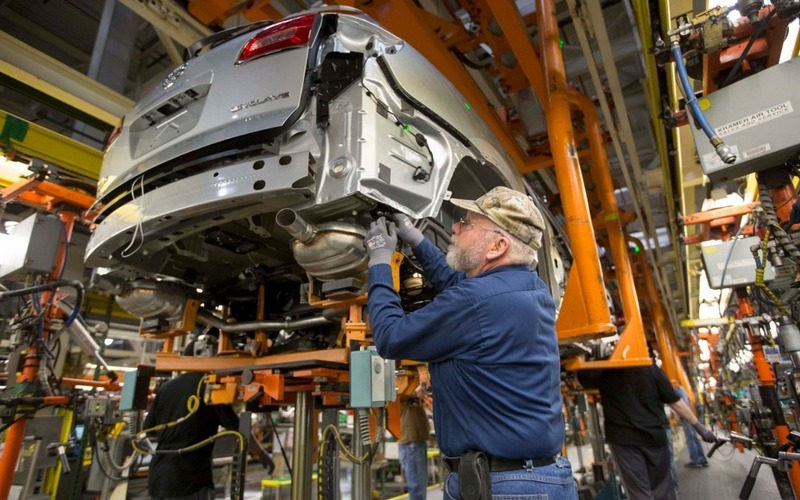 The total repartition of said amount hasn’t been disclosed, but we know that $520 million will go the Lansing, Michigan plant where the Chevrolet Traverse, Buick Enclave and GMC Acadia are built. This makes sense, since this trio will be updated before 2017. According to GM, such a large investment is testament to a healthy business, since this money will be used to modernize its production lines and increase output, which will be critical to meet the increased demand. However, there is also bad news; a report coming from the Oshawa, Ontario plant states that they will have to cut around 1,000 jobs before the end of the year. While 5 different models are still being built at the plant, the Camaro will cease to be assembled there on November 20th as Chevrolet gears up for the next generation of the muscle car.